This map shows how Oregon House District representation has changed between 2002 and 2008. 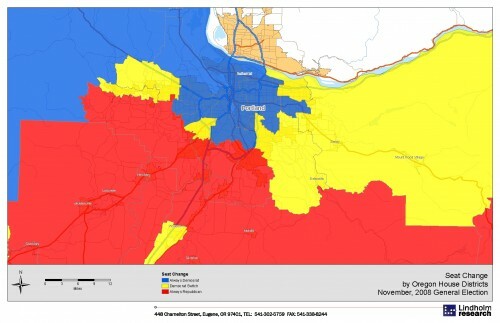 Republicans have tended to lose districts in the suburbs of Portland. The House District boundaries were redrawn in 2001 and have not changed since. Red: Republican from 2002 through 2008. Blue: Democratic from 2002 through 2008. Yellow: Changed from Republican to Democratic in 2004, 2006, or 2008. As one would expect, there was a strong Vietnamese component to the electorate. The latino turnout was disproportionately low. These figures are based on estimates using the sources indicated below. Sources of data: Santa Clara County Registrar of Voters; Labels and Lists of Bellevue Washington. 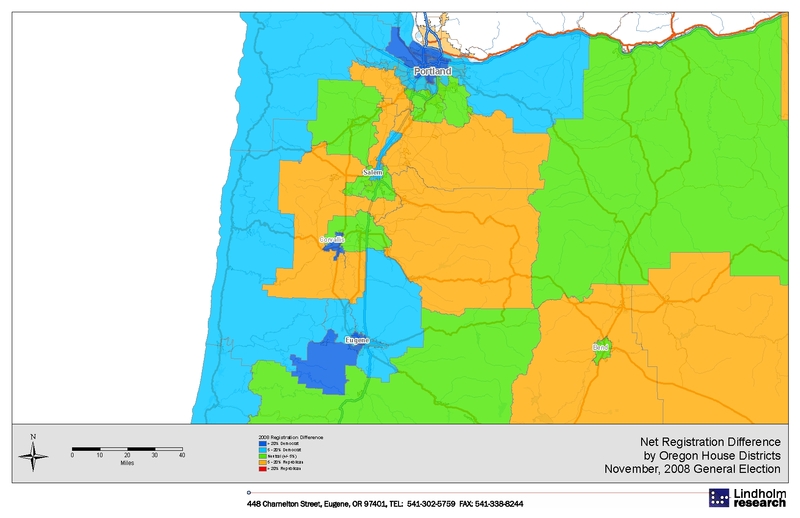 Most of the districts that switched from Republican to Democratic are in northwestern Oregon, between Eugene and Portland and along the coast. No districts have changed from Democratic to Republican. This map clearly shows that registration gaps in the Willamette Valley are sharp. However, again, they are not nearly so starkly divided as the representation in the State House of Representatives. Orange: Next most Republican registration. Green: Next most Democratic registration. 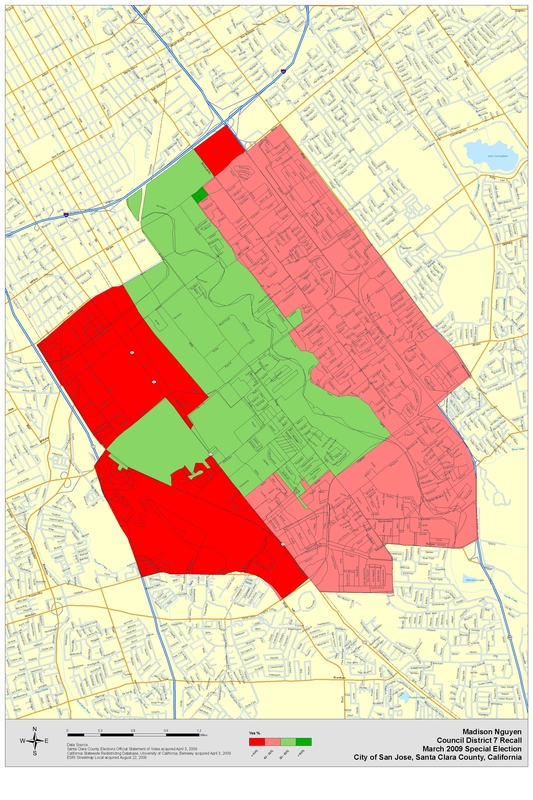 This map presents the March 3, 2009 Madison Nguyen Recall election results by precinct. Yes (pro recall) is in green and No (anti recall) is in red. The deeper the shade the stronger the result. Source of data: Scnta Clara County Registrar of Voters. 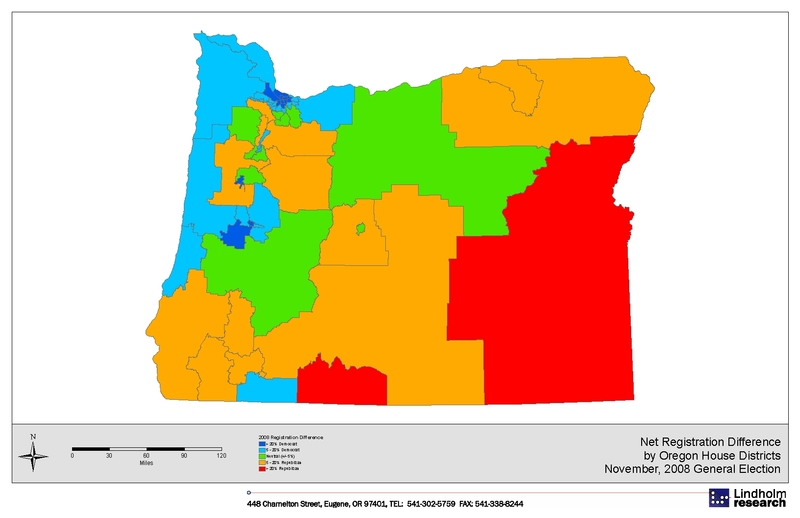 This map clearly shows that registration gaps across the Portland are among the sharpest in the entire state. However, again, they are not nearly so starkly divided as the representation in the State House of Representatives. This map clearly shows that registration gaps across the state are not nearly so starkly divided as the representation in the State House of Representatives. The largest concentration of A’s fans live in the area extending south from East San Jose to Gilroy and extending west to Campbell. The index measures the relative share of the demographic group that fits into the interest group. The index equals the share of persons in the demographic divided the share of adults 18+. Source of data: International Demographics, Inc., San Jose, Ca., The Media Audit ™ Survey, fielded June 25 through July 30, 2008 and October 30, through December 30, 2008, 1,298 total telephone interviews approximately evenly distributed between the two time periods. In 2008, a district’s net partisan registration is a very good predictor of which party will control a seat. 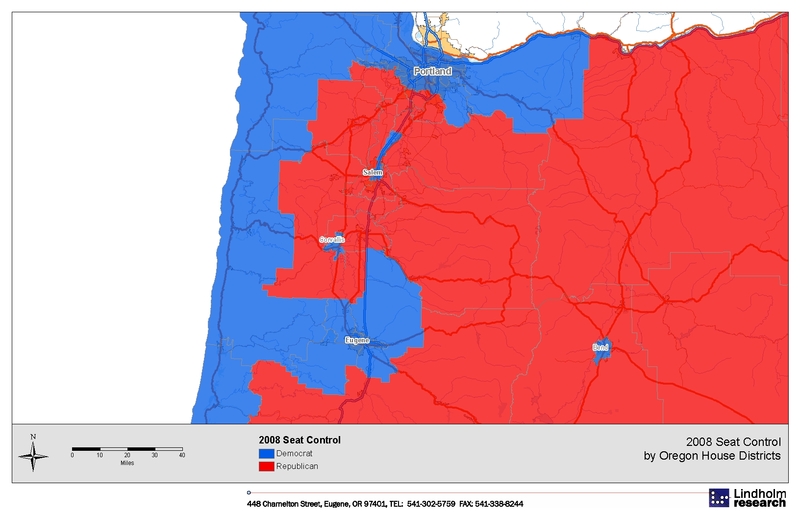 All 60 Oregon House Districts, after the 2008 election, are perfectly ranked by partisanship of the registration. 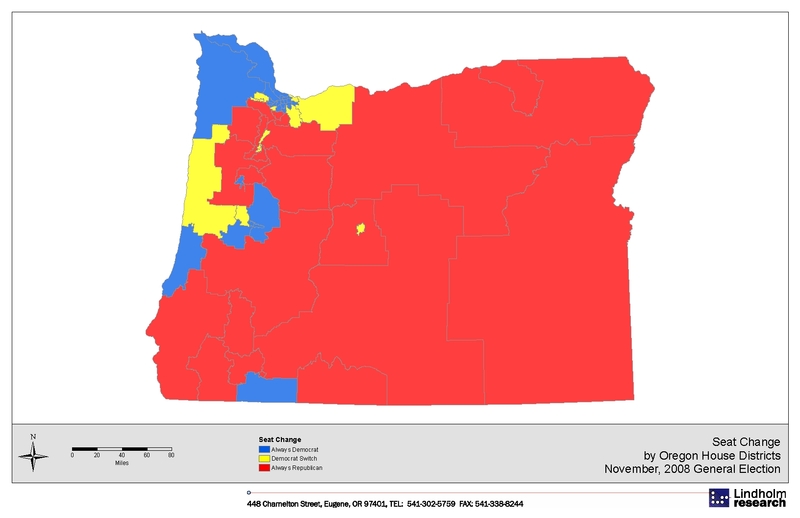 This graphic presents the middle 20 (out of 60) Oregon House districts as ranked by partisan registration difference and then indicates which party controls each seat (red is Republican and blue is Democrat). The 20 most Republican districts by registration are held by Republicans and the 20 most Democratic districts are held by Democrats. The Democratic strength in cities, including Corvallis, Eugene, Portland, and Salem, as well as along the coast is clearly shown. The “hub and spoke” pattern is clearly visible in the Willamette Valley where some districts include large urban areas and extend far into rural areas.